Vintage 2 Speed Leslie Tone Cabinet for Guitar. Transport Music into 3D space! USA Made - from the great Swing aera! Description: Nothing emulates classic Leslie sound as authentically as the real thing: So: Get the real thing - to get lush chrous sounds at the slow speed, or amazig space filling vibrato at the high speed. Make sound come alive - Spread sound into physical space! I hand built this vintage Leslie tone cabinet with all original vintage parts: It is based on a vintage USA made Leslie Assembly, made in California in about 1963 by Electromusic (the manufacturer who made the famous Leslies for Hammond B3 organs). 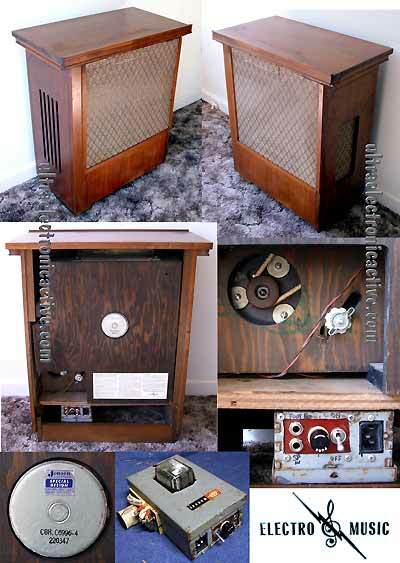 It contains it's original 1963 vintage 8" Blue Label Chicago Jensen Speaker, it's original frequency network, and the original 2 speed motor assembly as used in Professional Leslies, which consists of 2 motors: one for slow speed (chorale), the other for fast speed (vibrato). The furniture is original vintage as well, and made form the parts that housed this unit originally. This Guitar (or keyboard) Leslie operates plug and play to be compatible with any guitar amplifer that provides a 1/4" external speake rjack. The unit is all self contained, which means: It provides a standard AC power cable, the motor control electronics that can be controled with a standard foot pedal (1/4 plug). The Leslie spins vertically, meaning that sound is projected form left, to top, to right to bottom. The motor control is custom designed and hadn built to upgrade to be foot pedal controllable and to adhere to modern grounded design electrical circuit for more safety. 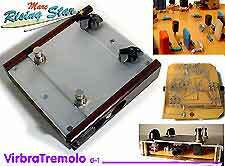  2 speed - motor: Chorale (slow speed) and Vibrato (Fast Speed).  Simply plug into the external pseaker jack of your guitar amplifew.  Self Contained and stand alone - Just use as an external speaker cabinet.  Foot Pedal Control, to switch between the 2 speeds (with indicator light at high speed) First stomp switches to high sped, second back to slow speed. The power switch at the base of the unit turns power / rotation of the speaker on/off.  The unit provides the original transition times (- the time to speed up, or to slow down when motors are switched), which provides special sound effects. 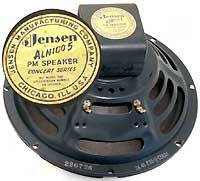  The original vintage Jensen speaker provides nice vintage tone. WARNING In this configuration power input should be limited to about 15W (ideal: 6BQ5 tube amplifer). If needing to operate this unit with a guitar amplifer of more than 15W (any new solid state amplifer) repaclement of the vintage speaker driver with one of higher wattage will be needed. In other words: in original vintage configuration the unit as it is is perfect for micing and studio recordings, but for live stage sound and applications where more than 15W are required, a speaker upgrade should be considered. Just to mention it: This Leslie can be used with the guitar amplifer listed in the right colum of this page, which provides a 1/4 speaker output. Just plug in and all is ready to go. 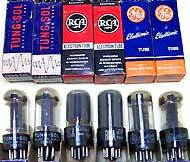 Vintage closely matched pairs from when these tubes were abundant. Theses are as fine as they can get! Description: I received a lot of NOS tubes likely form the late 50's e / early 60's and these came in as matched pairs. Likely matched in their original days, as I have never seen vintage new old stock tubes matched that closely. This is extremely rare! - Get them while still available. You have probably heard that soem of the new stock tubes do not work in certain amplifiers as they cannot handle the high voltage. since then demand for NOS 6V6 has increased. I am lucky to have 3 pairs: Tungsol, RCA and General Electric. 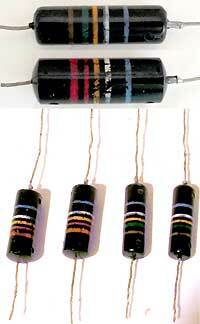 All tubes appear NOS in original box and were tested with my mutual transconductance tube tester. Pair I - Tungsol (black plates) NOS matched pair Price: $115.00 S O L D ! 1950's Vintage Jensen Guitar Sepaekrs here! 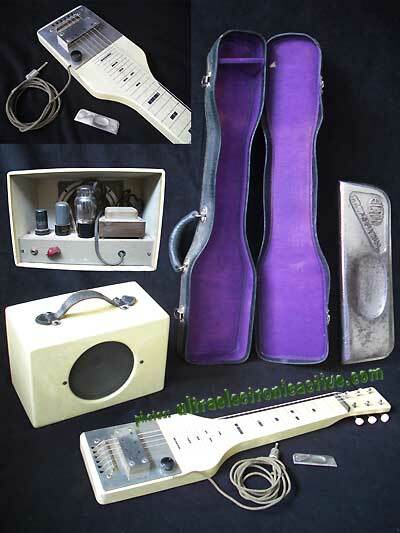 Description: 1941 Supro lap steel with matching amplifier, original case and 1 rare Elton Professional slide. This set is all original and is in excellent shape both cosmetically and functionally. This is the only set like this that I have ever seen. It is very rare. Amp Features: Beauty in simplicity: One input. Volume Control. Field Coil Speaker. Work performed: The unit appears untouched in original condition. Condition: excellent physical condition. Only minor signs of wear. Excellent working condition. Note: This unit belongs to a good friend of mine. All correspondence will be forwarded, and sale etc. will need to be arranged directly with him. I take no responsibility for this item, other than to have the honor to make you aware that it is available. In regards to questions, details / acuracy in above description, shipping etc. : Please address these items directly with the owner of this item. Description: These USA made vintage Sprague Bumble Bee Capacitors are pulls form vintage 1950's equipment with long leads and tested for capacitance value. Due to the damand I spent quite a bit of time in my circuit lab and am now offering now this handcrafted Virbrato / Tremolo Pedal - Individually hand crafted from scratch to your needs! This unit is aimed to be your one favorite high quality Tremolo / Vibrato pedal, that you will carry with you for decades! This unit offers very broad adjustemnt ranges for numerous effects and tones not achieved by other units. I build these units with top quality materials and carefully selected precision components based on my own designs and custom tweaks to Hi-End audio standards. This unit sounds great! A great addition to any Guitar, E-Piano, Synth, Harp, Studio Usage or for the Vintage Analog Synth Studio. Hand-built from scratch and custom tweaked to your order! Own a completly unique piece of custom made effect gear.  Secure and Easy Payment through Paypal. Description: Simple but nice quality electric guitar. Perfect for beginners or as a low cost travel instrument. Features: Volume. Tone. Humbucking Coils. Lot: 1 used First Act E-Guitar. Zipper travel bag. Excellent physical and working condition, but misses small rear cover behind the string insertation compartment (does not affect the function or tone). 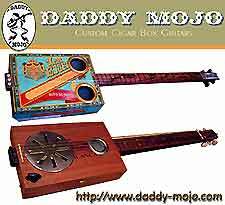 Custom Cigar Box Guitars with a pick-up! Description: Used good conditiction. some sins of use. Nice. Folds up nicely. Price: $15.00 S O L D ! Rock out when others sleep and turn those late-night creative storms into songs! Features: Volume, filter, Clean / Distortion / PRX switch. OFF / ON - CHS switch. 1/4" plug to plug into guitar 3.5 mm jacks for headphones and AUX in. Very simple. 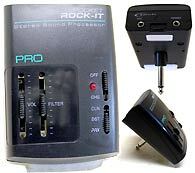 Lot: 1 used Pockert-RockIt PRO stereo sound processor. Excelelnt physical and working condition. 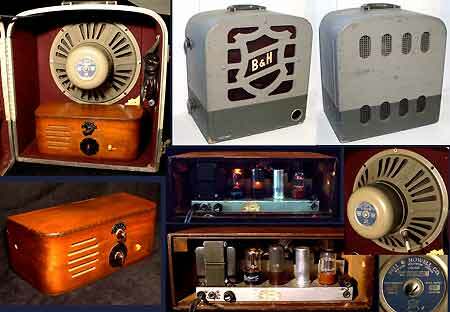 Hand Made Single Ended Tube Guitar Amplifier w/ 1952 Chicago Jensen 12" Speaker in Original Vintage Cabinet. Description: I hand built this versitile single ended tube guitar amp from a piece of early 50's audio gear. Design considerations were to build a standalone low wattage guitar amplifier for recording and practisse aplications, yet powerful enough to be used for solo or duo live performances in small veunes. My goal was to provide an amplifer somewhat simmilar to the Fender Priceton or Champ iamps in warmth of sound and tone, yet to build an amplifier that produces extraordinary detail in sound. I beleive I succeded: Everyone who has played and listened to this amplifer liked it and commneted on it's warmth and sound quality!  Cabinet and amplifer are two separate units allowing to place the cabinet away from the player.  The cabinet is original and has a 12" vintage speaker installed for lower frequnecy response and the true vintage tone.  The amplifer provides a small 4" internal vintage speaker with alnico magnet to be used as a practisse amp, or for special recording situations. Amp Physical / Operational Features: FRONT: Volume and Tone Controls (Tone control is quite sensitive with a wide range! ), RAER: 2 Inputs for either 2 instruments or a Mic and an instrument; Speaker output allow to use intrnal and external speaker or to mute the internal speaker for external cabinet only. 10W output power - Quite loud! Amplifier up to current safety standards! Condition: In perfect working condition; Hand built built with original vintage componets, vintage resistors, and quality componnets. The cabinet of the ampliifer is 50 years old and has the appreciated wear and tear. Dimensions, (aprox. ): 13 1/2 (W) x 7 1/2 (D) x 13 (H). Lot: 1 custom hand crafted one of a kind guitar amplifier. As with most of my items: one of kind. Once sold no longer available! Stand out with a completely unique amp rig! Guitar Work with 25 solid years of Experience - Serving the northern California Chico area for more than 18 years, and now the World! > Very reasonable rates - Prices have been the same for more than 10 years! > Fast Turn Around ! > Quality packing for shipped in jobs !